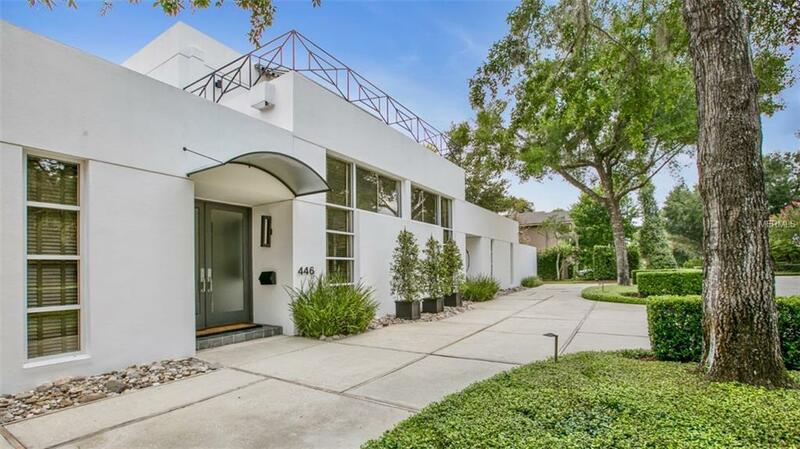 Feel the timeless elegance of this contemporary style home nestled on a quiet street in the Virginia Heights neighborhood of Winter Park. 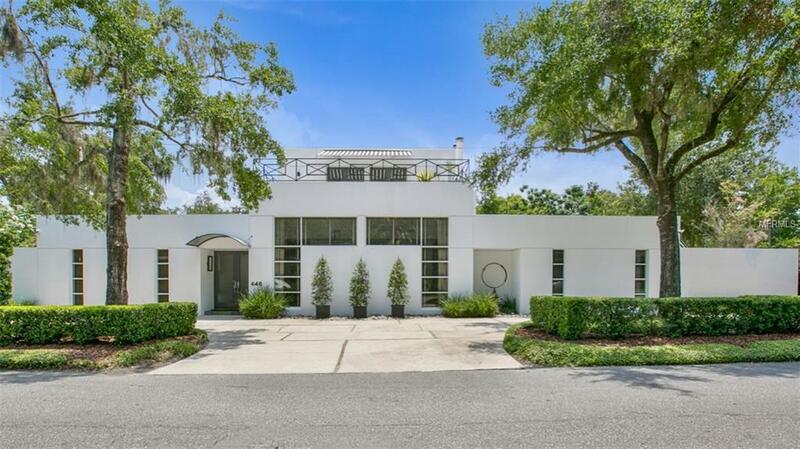 You can walk to Lake Virginia, Rollins College, and Park Avenue. 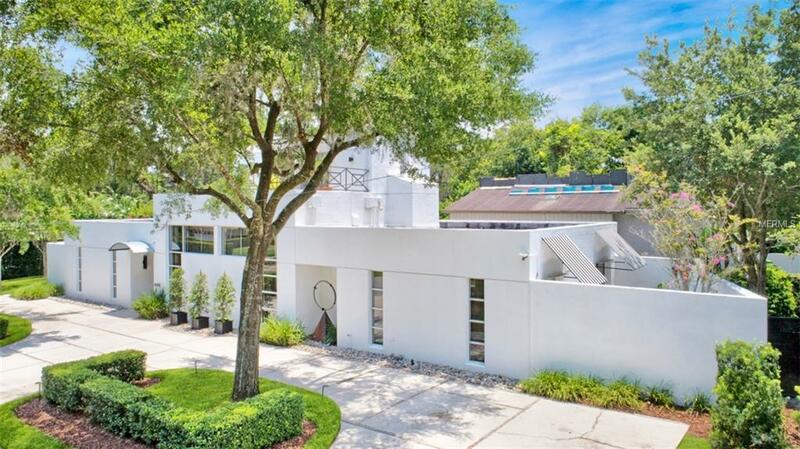 This custom home was designed and built for an award-winning interior designer in 1987 and has been her home to this day. Walking through the double entry doors to the living area, you will be drawn in by the volume of the sixteen-foot ceilings, and the airiness of the windows and french doors on both the front and the back of the house that fills the space with soft light. 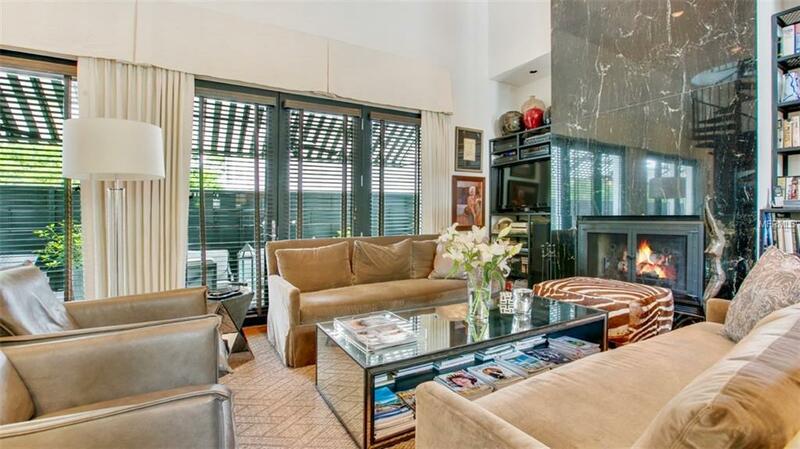 The living room is grounded by a floor-to-ceiling blackmarble fireplace and hardwood floors. The living room is open to the dining room that adjoins the kitchen with its whiteCarrera marble countertops and stainless steel backsplash. From the west end of the living space, you enter the master suite, the master bedroom to the left and the master bathroom to the right. A passageway between the bathroom and the bedroom features closets on each side. French doors lead to a private terrace, shaded by striped awnings. Two more bedrooms and a full bathroom are located to the east end of the living space. You reach the second level of the home via a steel and wood circular staircase where you'll find a bonus room and an expansive balcony. Striped awnings shade the terrace that extends along the entire length of the rear of the house which is accessible from the living room, the master bedroom and the secondary bedroom. Listing provided courtesy of Florida One Real Estate Llc.